Registration will be handled by the YMCA. Please use the links below. The YMCA of the Chesapeake is excited to have partnered with the Corsica River Yacht Club and The Gunston School to deliver a variety of quality water sports camps on the Eastern Shore. Sailing and Kayaking camps are run by YMCA and held at Corsica River Yacht Club. Drop-off and pick-up is at the Gunston School then campers are transported by bus or boat to the Corsica River Yacht Club for specialized water activities. Before-Care starts at 7 am with After-Care running until 6 pm. 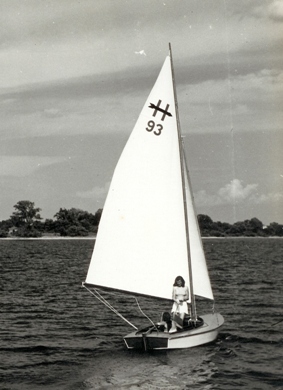 An additional fee is required for after-care for those participating in Pee Wee Sailing. Campers must always bring a bathing suit, towel, sunscreen, lunch, refillable water bottle, and 2 snacks daily (we are outside most of the day)! focus on fun and adventure. Campers will learn a variety of sailing skills as they explore the Corsica River, observe wildlife, swim, and more. This camp is a great way to beat the heat by enjoying a week on the water. Campers will need to be dropped off by 8:30am and can be picked up starting at 4:30pm. We will sail from 9am-4pm. Before and After Care is provided at the Gunston School at no additional cost. the beach while learning about the exciting sport of sailing. Before Care is provided no additional cost! After Care is provided for an additional $50/week. Campers will need to be dropped off by 8:30 am and can be picked up starting at 1:30 pm. We will sail from 9 am-12 pm. The CRYC mission is to promote sailing and seamanship to the local community on and around the Corsica River. We are located at 589 Conquest Road, Centreville, MD on a beautiful waterfront venue known as Ship Point. We have a pavilion with his/her bathrooms and two water access points. The west beach is shallow and perfect for launching our Optimist fleet as well as for just swimming or playing in the water. Our south beach has a 100 foot pier and is where we keep our 420 fleet and safety boats. Check out our sailing program and we look forward to teaching your children how to sail as well as improving their skills so they may race competitively against other sailors.